Holy smokes–it’s coming, it’s really coming! This project has been something I’ve always wanted to release, right from the get-go of founding Literary Orphans. 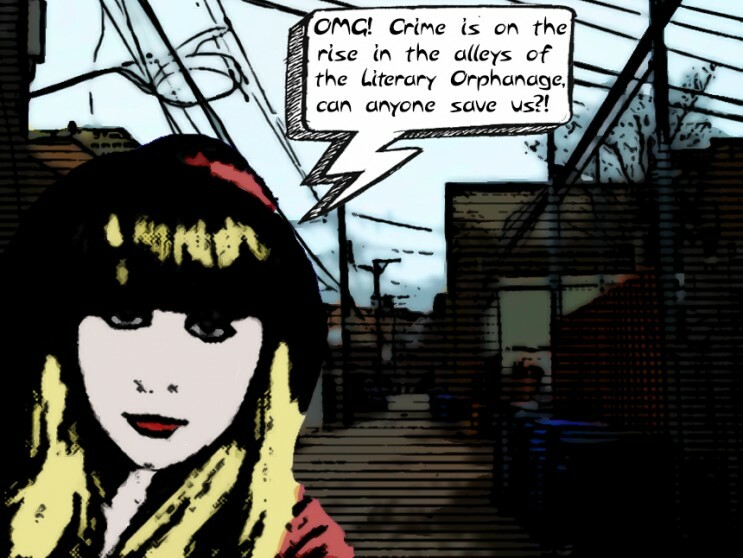 Each issue of Literary Orphans is named after an orphan. You may have been wondering, heretofore, why we’ve chosen people with seemingly no connection to literature? Well, that answer is twofold. We pick the orphans after the pieces have been selected, to embody the mood. Kind of like naming a playlist. Also, we feel that real-life and fiction shouldn’t be separated. We’re not always trying to create a reality-escape. We want to exist there, in the connecting webs between fantasy and reality; we want to put our thumb on the vein, if you will. Bruce Wayne from the Batman comics. Submit to this issue! We want stories that take us to the same place that comics take us–where everything is open and dark and magical. We want to feel transported into a world of henchmen in ski-masks, with shotguns and mafia-ties and larger than life villains controlling evil corporations and nations. That awkward world of bright colors contrasting with a dark world. In other words, we want you to bring us back to the 80s. Every piece will be accompanied by original artwork. 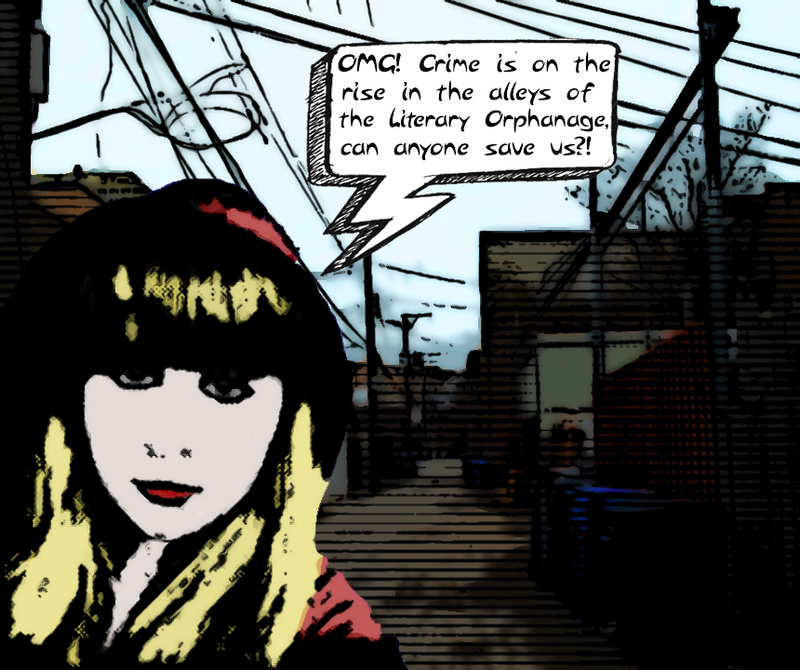 We will send your story to an artist who will illustrate it. We will then put the issue in print, and make it available for purchase on our website. The stories will still appear online as well, as a regular issue of our website. As far as content goes, we’re more open than you might think. We prefer pieces that center around superheros, but if it’s exceptional, we may accept other pieces. There is a great piece I thoroughly enjoy, by Kurt Baumeister, called “Superman’s Last Flight.” If you had something in that vein (not copying, of course) we may be interested. Give us your best superhero-inspired fiction! Inspired. See that word? Inspired. Let’s get one thing straight–this is not fan-fiction. Not at all. We’re naming this issue Bruce in honor of that fictional character, but absolutely nothing you submit, and I mean nothing, should reference actual superheros or villians from any pre-existing comics. Everything submitted, including the ideas, should be ORIGINAL. Submissions are currently OPEN. We will be accepting submissions until the issue is full. There are a couple holds barred, beyond the all-original aspect. No poetry. Sorry guys. This just won’t work. We’ll make it up to you, we promise. Nothing under 2,000 words, nothing over 5,000. This is the only soft bullet-point. Looking forward to reading your excellent work! Between 2,000-5,000 words, query anything else first. We’ll accept submissions until we have enough.